Whatever your construction or aggregate needs may be, the team at BoDean Company is able to provide you with a range of aggregate material through its mining of the company’s two quarries: BoDean Forestville Quarry and the Mark West Quarry. Depending on your needs, screened chips is a product that serves many purposes and fit the needs of many specific projects. Screened chips are a smaller crushed rock and this specific aggregate serves many purposes; from use in the production of asphalt, chip sealing of roads, and to freshen up the surface of a compacted dirt or gravel road for a more aesthetically pleasing appearance. Screened chips come in a variety of sizes, including 5/16”, ⅜”, ½”, and ¾”. Screened chips are also available through BoDean Company as a washed material. This simply means that during production the aggregate has been washed to remove dirt and clay from the rock. For more information on washed aggregates, including screened chips, please see washed aggregates or contact a BoDean representative to find out which option is best for your project’s needs. Through its aggregate production process, all of BoDean Company’s aggregates are formed by drilling and blasting before the product moves on to crushing and screening the rock. It is in this stage that each product becomes its own varied type of aggregate. 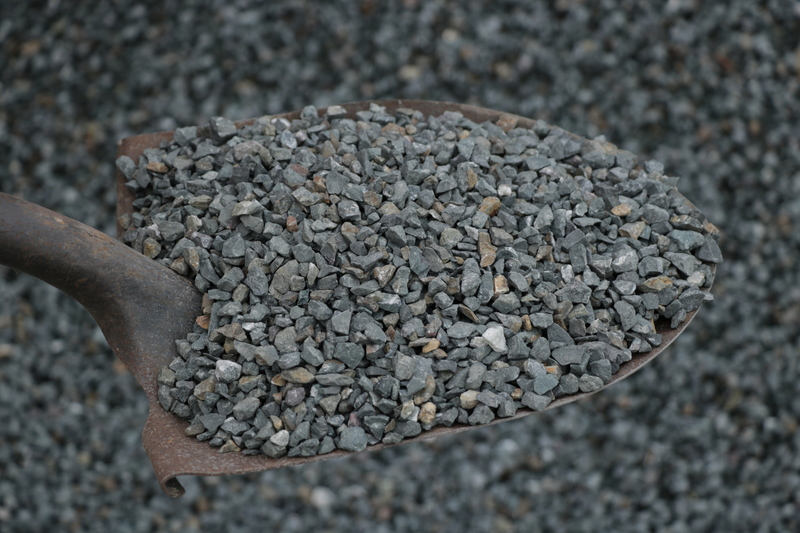 Although technically considered a coarse aggregate, screened chips are a smaller sized rock in comparison to some of its counterparts, such as drain rock. With the capability of mining in two different quarries, the Mark West Quarry and the BoDean Forestville Quarry, BoDean is able to offer its customers a variety of sizes and colors of aggregate material, and the company’s knowledgeable staff can assist in determining the right size screened chips for any project. Walking Paths – Screened chips can be used to create walking paths to provide a dry, somewhat raised path to keep you out of the mud or wet grass. For example, to create a path that will lead from a side yard to a back gate. Pipe Bedding – Screened chips can be used in pipe bedding to help encase the pipe safely when it is placed in the ground. The screen chips would be placed below and above the pipe so that it is self-impacting and prevents the pipe from being crushed by the weight that is placed above it. Road Surface Applications – Screened chips are an extremely useful product for pavement surface treatment. Screened chips can be combined with asphalt and spread over damaged roads for improvement and to help make for better driving conditions. Driveways – Screened chips are often selected for use in driveway construction as a less expensive alternative to concrete, with a more permanent feel than other materials. Variety of Projects – Screened Chips can be used for so many different projects and serve a wide variety of purposes. If you are considering screened chips for your project, simply call one of the BoDean representatives to make sure this is the right material for you. BoDean Company strives for excellence in production, customer service, safety and works daily to reduce the size of its carbon footprint. All products mined by the company are in compliance with all local city, state and government standards and regulations. Screened chips serve many varied uses so it is important to select the correct size and/or product for your project. BoDean Company maintains a unique ability to mine and produce well-crafted virgin and recycled material, including screened chip aggregate. Material can be made to fit the specific needs of every customer and the team at BoDean Company will make sure you select the correct grade, class, size and material to make your job a successful one. Specific project needs can be met through an informative phone consultation with a BoDean representative. . Call today at (707) 576-8205 to speak with a BoDean Company specialist or click here to request a free online quote.